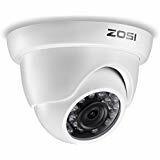 This 4-in-1 professional Dome security camera built-in 1/4" Comes image sensor, with 1.0 Megapixel resolution and an advanced circuit design, It adopts an advanced image processing technology. the camera resolution is as high as 720P full HD, which ensures clear and bright pictures. 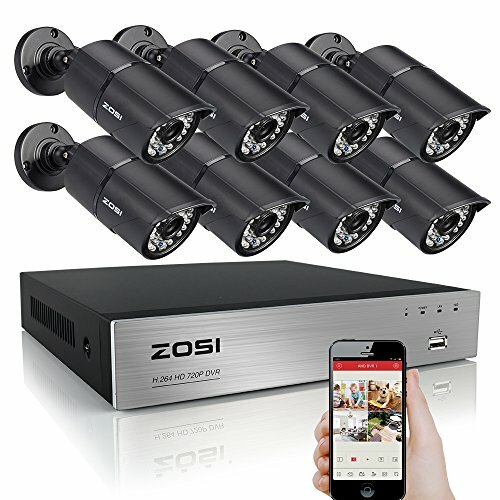 this 720P HD camera has a built-in OSD menu that can change the 4 different video outputs HD-TVI, AHD, CVI, and CVBS(960H) and adjust the video settings. 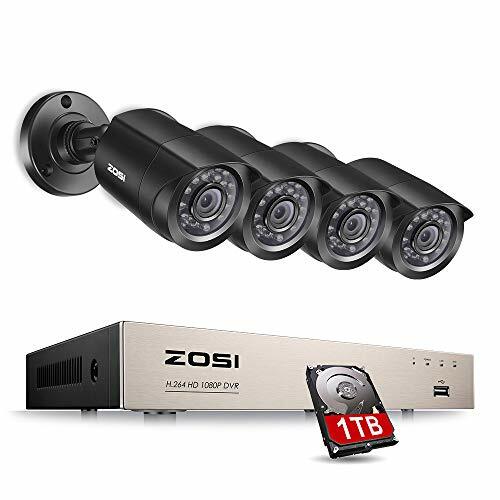 This 4-in1 camera is fully compatible for the following HD DVRs: division, Dehua, GW, LTS, Q-See, Swann, Samsung, night owl, best vision, HD -Cam, Ananke, APO sonic, I-DVR Pro, ovonic, digital Watchdog, log is AF, SANNCE, Venetic, spec, Alibi, tic, canted, Zoos and many more. question & answer's: video loss appears where the image from my camera should be displaying on my DVR? 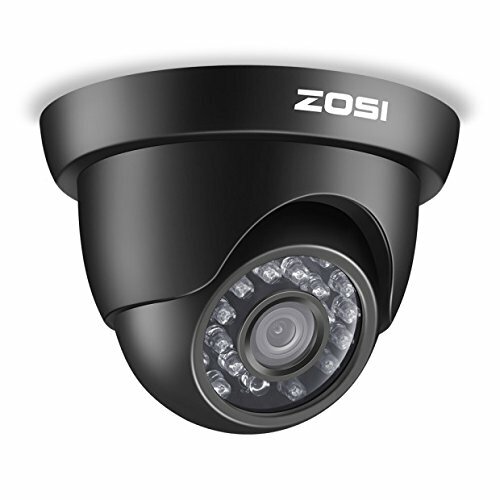 a: 1.Check the extension cable (power and video) is securely connected to the camera. 2.Check the video output from the camera is securely connected to a video input channel on the DVR. 3.Check the power from the camera is securely connected to a power supply. 4. The camera mode do not match your is 2 ways to setup. (1) press OSD joystick “down” 5 seconds, if still no picture Come, try to press “left” “RIGHT””UP” for 5 second, till the signal matching your DVR. (2) make sure the signal of your DVR, use OSD joystick to change the mode of the camera according to your DVRs video mode. : zero-risk purchase, 100% satisfaction 365 days 100% money-back. We will refund you immediately if you are not satisfied with our products. 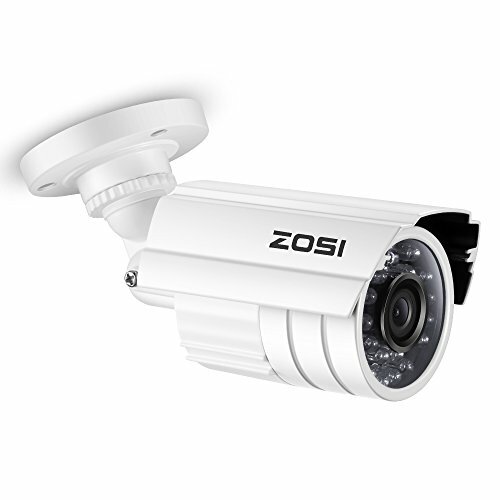 This 4-in-1 professional bullet security camera built-in 1/2.7" CMOS Image Sensor, with 1.0 Megapixel Resolution and an advanced circuit design, it adopts an advanced image processing technology. The camera resolution is as high as 720p Full HD, which ensures clear and bright pictures. 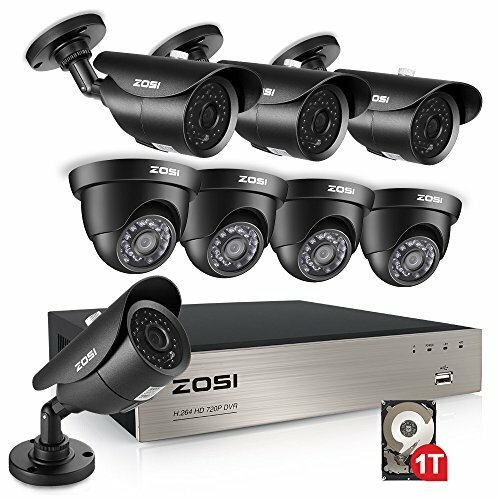 This 720P HD camera has a built-in OSD menu that can change the 4 different video outputs HD-TVI, AHD, CVI, and CVBS(960H) and adjust the video settings. Operation Mode. 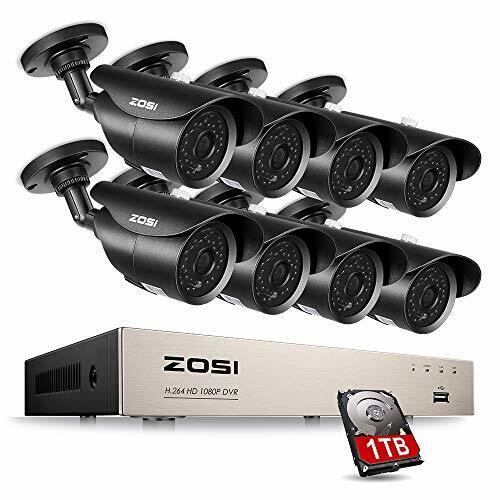 Switch from AHD: Press Leftward for 5 SecondsSwitch from TVI: Press Rightward for 5 SecondsSwitch from CVBS: Press Upward for 5 SecondsSwitch from CVI: Press Downward for 5 Seconds This 4-in1 camera is fully compatible for the following HD DVRS: Hikvision, Dahua, GW, LTS, Q-see, Swann, Samsung, Night Owl, Best Vision, HD View,HQ-CAM, Annke, Aposonic, I-DVR Pro, Vonnic, Digital Watchdog, Logisaf, Sannce, Venetech, Speco, Alibi, KT&C, Cantek, ZOSI and many more. 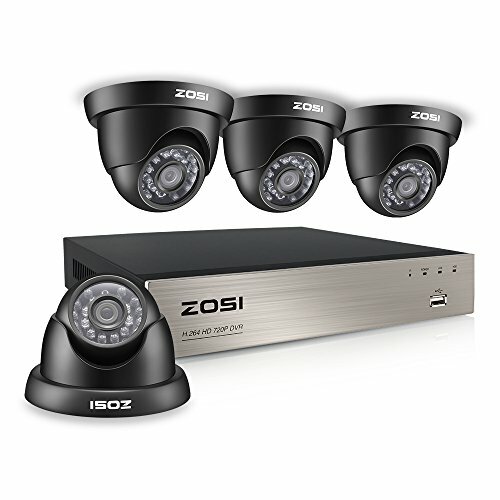 Troubleshooting Q: Video Loss appears where the image from my camera should be displaying on my DVR? 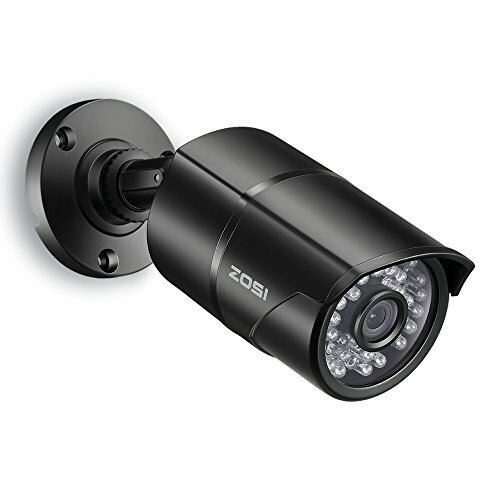 A: 1.Check the extension cable (power and video) is securely connected to the camera. 2.Check the video output from the camera is securely connected to a video input channel on the DVR. 3.Check the power from the camera is securely connected to a power supply. 4. The camera mode do not match your DVR.there is 2 ways to setup . (1) Press OSD Joystick “DOWN” 5 seconds,if still no picture come, try to press “LEFT” “RIGHT””UP” for 5 second, till the signal matching your DVR. (2) Make sure the signal of your DVR, Use OSD Joystick to change the mode of the camera according to your DVRs video Mode. Zero-Risk Purchase,100% Satisfaction Guarantee365 days 100% money-back guarantee. We will refund you immediately if you are not satisfied with our products. Wireless System Overview 1. 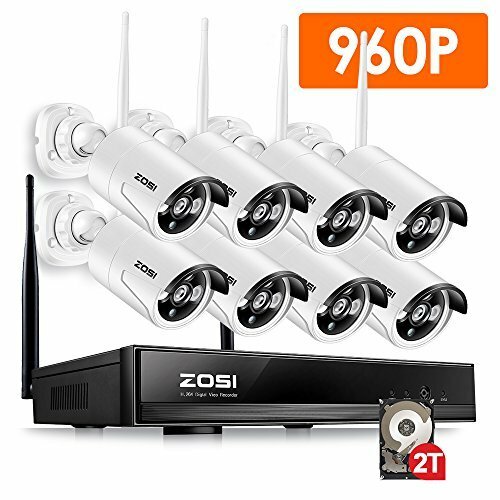 This wireless 960P HD security NVR system is very suitable for your home and small business. It will help you recording,playback and remote. 960P image sensor makes stunning picture and video. 2. Easy to setup,no need wires anymore,no exposed lines anymore,more beautiful,more hidden,more safely. 3. Built-in security dedicated wireless wifi module with stable signal and strong anti-interference,support long transmission distance,open areas up to 350m, can through 1 to 4 walls in actual measurement. 4. 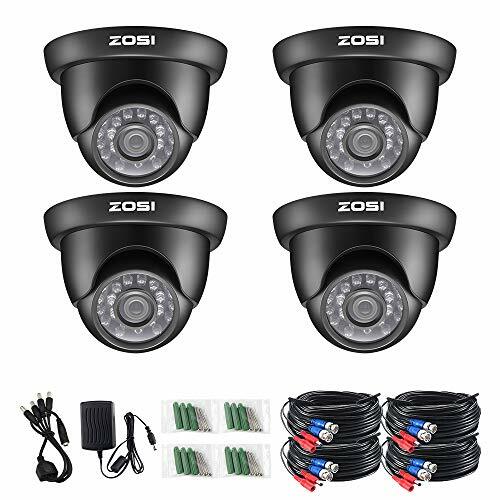 Support multi alarm triggered(video-lossing, motion detection) and alarm alert(sound, email, FTP etc)NVR Specification: 1. 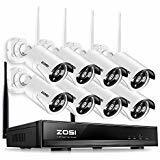 8 channel 960P wireless Network video recorder 2. Built-in WIFI Module with high-performance and high stability 3. Automatically connection between NVR and IPC 4. Support video preview/recording/playback/USB backup 5. Support the mixed use of wireless and wire,support difference scene 6. Support Android/IOS/PC Remote view 7. Get Instant email alerts if motion detected 8. 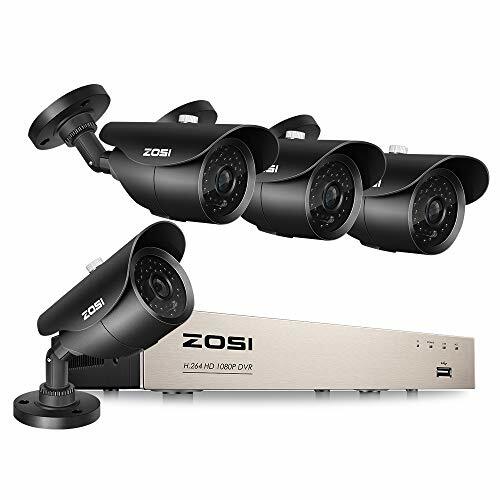 Support 1 SATA port, up to 4TB each, 2 USB2.0 port for operation of mouse control, back up, upgradeIP Camera Specification Image Sensor: 960P 1/4" Progressive Scan Sensor Resolution : HDMI,1280*960 Lens: 4mmIR LEDs Amount:3*Array LEDs with IR-CUT function Night Vision: 100ft(30m) Weatherproof: IP66Package Includes 1 PCS * 8CH 960P WiFi NVR 8 PCS* 960P HD WiFi IP cameres 8 PCS * Adaptor (DC 12V-2A) for 8pcs IP camera 1 PCS* Adaptor(DC 12V-2A) for WiFi NVR 1 PCS* USB MousePlease noted ：This system does not come with hard drive. Assembling a 3.5 inch SATA 500GB to 2TB hard drive is necessary. 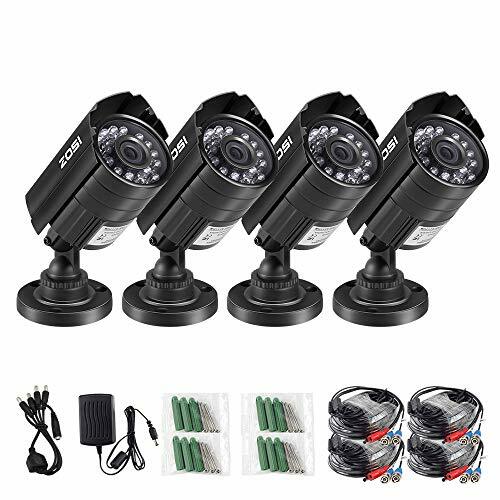 This 4-in-1 professional bullet security camera built-in 1/2.7" CMOS Image Sensor, with 1.0 Megapixel Resolution and an advanced circuit design, it adopts an advanced image processing technology. The camera resolution is as high as 720p Full HD, which ensures clear and bright pictures. 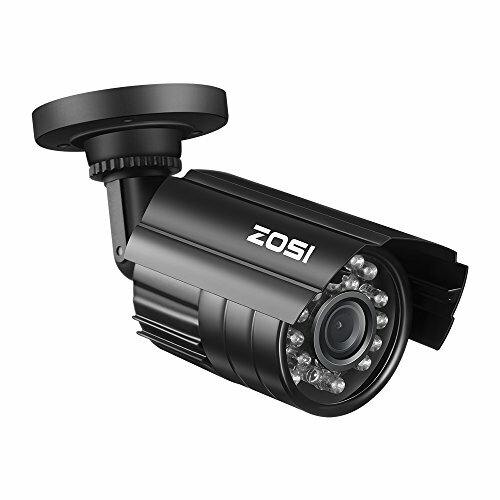 This 720P HD camera has a built-in OSD menu that can change the 4 different video outputs HD-TVI, AHD, CVI, and CVBS(960H) and adjust the video settings. Operation Mode. 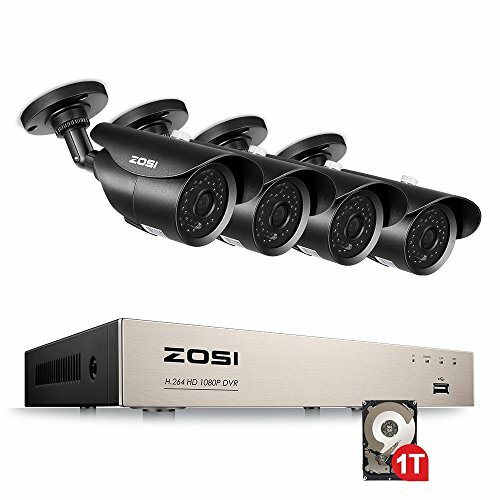 Switch from AHD: Press Leftward for 5 SecondsSwitch from TVI: Press Rightward for 5 SecondsSwitch from CVBS: Press Upward for 5 SecondsSwitch from CVI: Press Downward for 5 SecondsThis 4-in1 camera is fully compatible for the following HD DVRS: Hikvision, Dahua, GW, LTS, Q-see, Swann, Samsung, Night Owl, Best Vision, HD View,HQ-CAM, Annke, Aposonic, I-DVR Pro, Vonnic, Digital Watchdog, Logisaf, Sannce, Venetech, Speco, Alibi, KT&C, Cantek, ZOSI and many more. 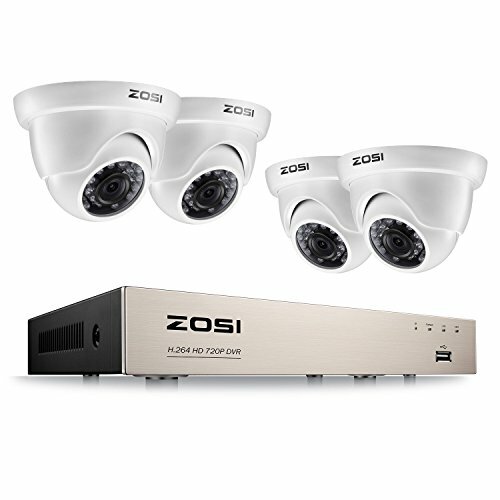 Troubleshooting Q: Video Loss appears where the image from my camera should be displaying on my DVR? A: 1.Check the extension cable (power and video) is securely connected to the camera. 2.Check the video output from the camera is securely connected to a video input channel on the DVR. 3.Check the power from the camera is securely connected to a power supply. 4. The camera mode do not match your DVR.there is 2 ways to setup . (1) Press OSD Joystick “DOWN” 5 seconds,if still no picture come, try to press “LEFT” “RIGHT””UP” for 5 second, till the signal matching your DVR. (2) Make sure the signal of your DVR, Use OSD Joystick to change the mode of the camera according to your DVRs video Mode. Zero-Risk Purchase,100% Satisfaction Guarantee365 days 100% money-back guarantee. We will refund you immediately if you are not satisfied with our products. Q: How to contact the seller for help ?A: Please refer to the last product images as above ,it will show you how to contact us for help ! 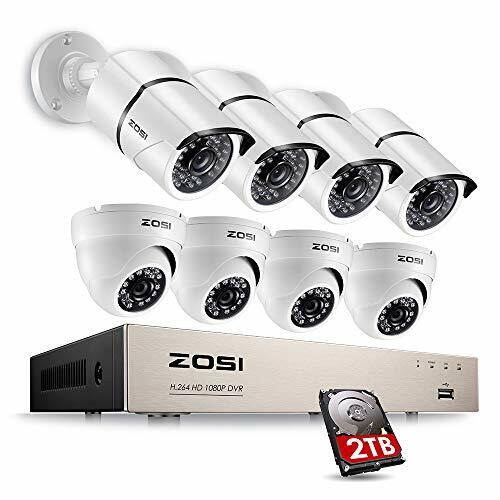 Definitely respond within 24 hours!Overview *Appears to be a real camera with 24 pcs simulated RED flashing LEDs *IP66 metal housing can be used both indoor and outdoor *Economical Way to deter theft or vandalism *Simple and Easy installation *3-Axis Camera Stand, cable through bracket, aluminum camera housing Dimension?2.8*3.2*7.1 (inch) Weight: 0.3kg>Please note: The Red Night Vision LED only will be illuminated during darkness ?? ?